Stan’s Obligatory Blog » Hey! Who broke the sun? Hey! Who broke the sun? 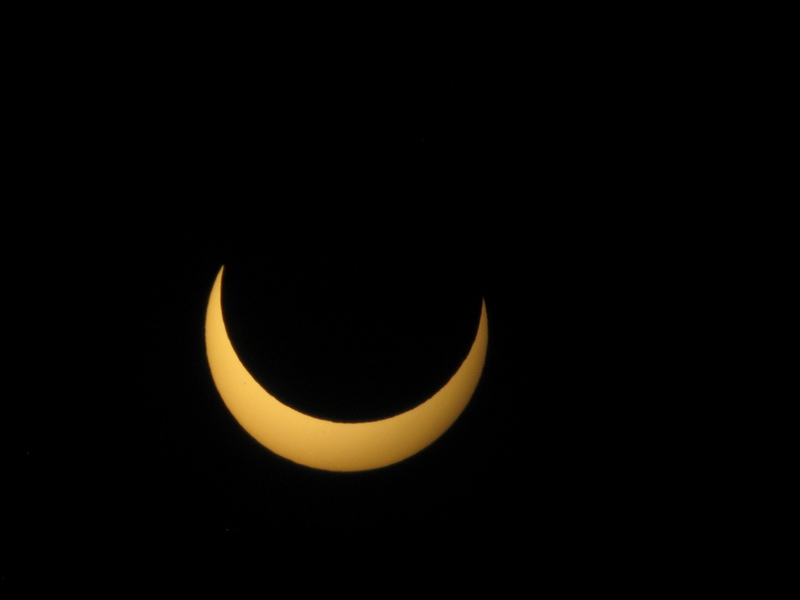 Today was a solar eclipse. Here in L.A., we’re too far south to see the full annular eclipse, but we still got something like 85% coverage, which was still fairly dramatic. I got a little solar filter for my Meade 2045, which is my ’small and portable’ scope. I set it up in front of our neighbor’s house where there was a clear view through the trees. I was even able to get some pictures by just duct-taping my little Canon A560 to the eyepiece. 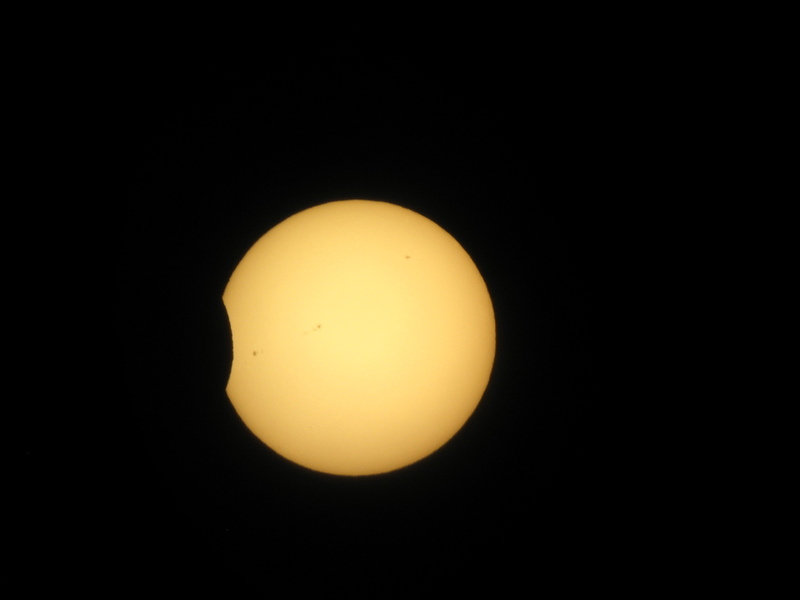 So the first photo shows the sun just a few minutes after first contact. The second is at maximum coverage. 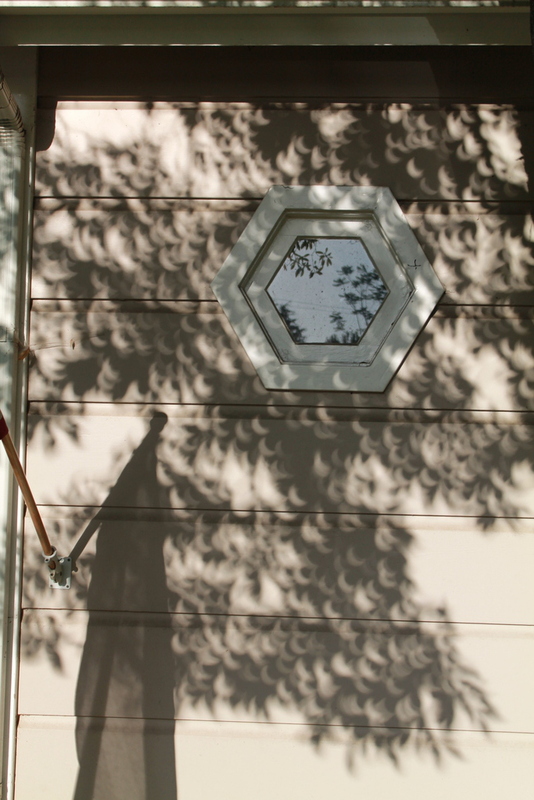 And the third photo shows the little crescent suns projected on our neighbor’s house by the sunlight filtering through the trees. It was good geek fun. All the neighbors came out to look at it. And now that I have the filter, I’m ready for the transit of Venus on June 5th.